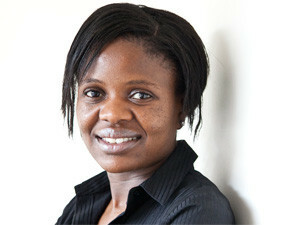 In the next few months, 10.6 million South Africans should be able to make free voice calls. WhatsApp's free voice service, set to land next quarter, will disturb the local cellular market, forcing operators to cut costs to the bone and find clever ways of replacing already pressurised voice revenue. The instant messaging service, used by more than half of adult cellphone users, will offer free voice calls to its 450 million-strong user base to help it expand to a billion users, reports Reuters. WhatsApp has not clarified when the service will land locally, although it does not offer country-specific versions of the app. The service will be well received locally, because of the high cost to communicate, which Ovum says is out of synch with costs in comparative markets. However, those without available WiFi may hold off on using the service for calls, due to the poor quality of mobile networks in SA, which will buy operators some time. This is because of the level of data that will be required to transport calls over IP. Reuters, reporting from the Mobile World Congress in Barcelona, quotes WhatsApp CEO Jan Koum as saying the text-based messaging service's aim to let users make calls by the second quarter will expand its appeal to help it hit a billion users. Buying WhatsApp has cemented Facebook's involvement in messaging, which for many people is their earliest experience with the mobile Internet, reports the wire service. Adding voice services moves the social network into another core function on a smartphone, it adds. 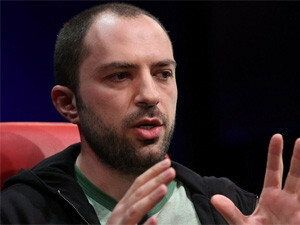 WhatsApp is offering free voice calls in a bid to reach a billion users, says CEO Jan Koum. The move by the over-the-top player comes just days after Facebook's unexpected announcement that it was buying the service for an astonishing $19 billion. Facebook CEO Mark Zuckerberg defended the price paid for WhatsApp, saying it could be worth more than the price tag, Reuters reports. "I actually think that by itself it's worth more than $19 billion," Zuckerberg told the Mobile World Congress. "Even just independently, I think it's a good bet," Reuters quoted him as saying. However, the move will further threaten mobile operators' voice revenue, which has been under pressure due to the shift to lower margin data. WhatsApp will prove to be an even bigger disrupter than the threat of Skype, due to its popularity locally and the cost of communication in SA, says Ovum analyst Richard Hurst. 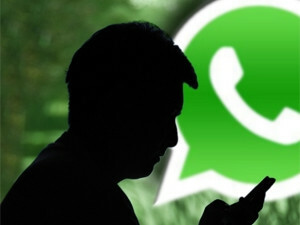 Recent research from World Wide Worx and Fuseware shows more than half of South African adult cellphone users living in cities and towns are using WhatsApp on their phones. The SA Social Media Landscape 2014 report reveals the WhatsApp instant messaging app is used by at least 10.6 million South African adults on their phones. 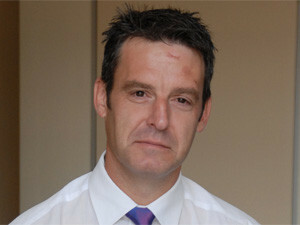 Operators will have to cut the price of their voice offerings, says Ovum analyst Richard Hurst. The research shows WhatsApp will rise to 63% penetration in the next 12 to 18 months. Hurst says WhatsApp is a serious threat to operators' revenue, and its offering - which will be followed by other over-the-top players - will cause disruption in the market. He says the cost of calls in SA, which is not on par with the price in peer countries, will make the service popular, overriding any pain associated in setting it up. Operators will have to make calls "dirt cheap" to fend off the challenge, says Hurst. He notes they will also continue to push data services, although this is at lower margins and will not offset declining voice income. Cellular companies have been facing slowing voice revenue for several years, but WhatsApp's pledge is now a definitive wake-up call for operators to find a new game plan, says Hurst. IDC analyst Spiwe Chireka, however, notes that while WhatsApp is a viable threat to voice revenue on paper, the service will take some time to chip away at SA's mobile operators' revenue due to the level of network quality. Chireka says it will gain traction as operators keep investing billions into infrastructure, which will improve data capacity. She anticipates a degree of excitement over WhatsApp's free chat offering, but does not expect it to replace voice. The quality of local networks means it will take some time for WhatsApp's effect to be felt, says IDC analyst Spiwe Chireka. World Wide Worx MD Arthur Goldstuck has said 2013 marked the first year local mobile voice revenues declined. He says data growth, at the expense of voice, has been coming for the past two years. However, this shift has now inevitably come home to roost. Data is an increasing portion of the income operators make from their networks, eating slowly into the contribution from voice. For Vodacom, a fifth of every rand it earns comes from data. For MTN, this is at 14%, and Telkom's data is 33.7% of its revenue. World Wide Worx's Mobility 2014 survey shows the average amount spent on voice has dropped from 77% in 2012 to 65% in late 2013. At the same time, the use of data has grown on a linear basis from 8% to 16%. Local cellphone operators did not respond to requests for comment.